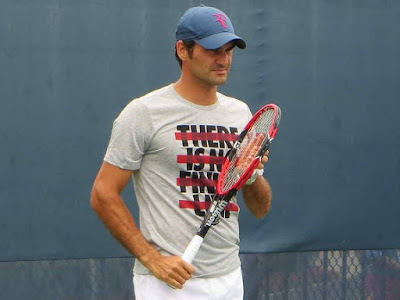 One week after celebrating his 34th birthday, Roger Federer arrives as the defending champion in Cincinnati of the belief he is a better player now than he was a decade ago. Considering his dominance of the 2005 season, it should be cause for concern for his younger rivals. The Swiss player made the assessment on the eve of his 2015 campaign in Cincinnati, where he returns as a six-time champion. 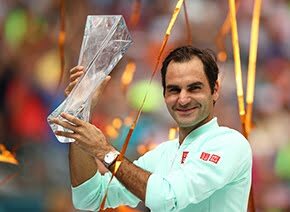 A decade ago he was consolidating his dominance of the game, winning Wimbledon and the US Open crowns with four ATP World Tour Masters Series 1000 titles among his 11 titles for the year - the most a player had landed in one season in more than 20 years. He finished the year with an 81-4 win-loss record. On paper, his numbers this season may not stack up to that impressive run but his game has developed in the years since. He opted to skip last week’s Rogers Cup in Montreal, having last year reached the final in Canada where he fell to Jo-Wilfried Tsonga. 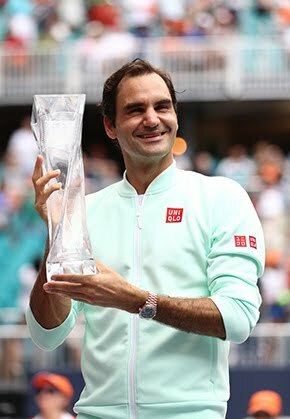 He was keen to avoid back-to-back events, instead choosing to focus on defending the title at one of his most successful stops on tour, having never lost a final in Cincinnati. Despite losing his No. 2 position in the ATP Rankings to Andy Murray, Federer is the tournament’s No. 2 seed this week and arrives fresher than he did 12 months ago. With more than one-third of players in the Top 100 30 years or older, he admits that he is surprised the next generation has not yet taken over.